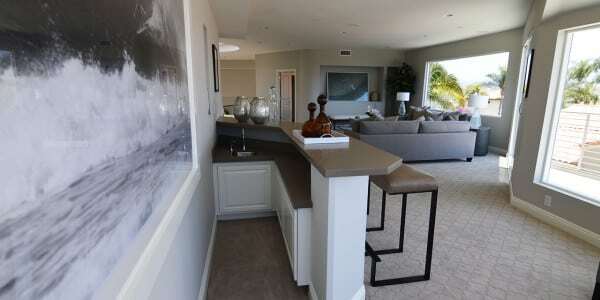 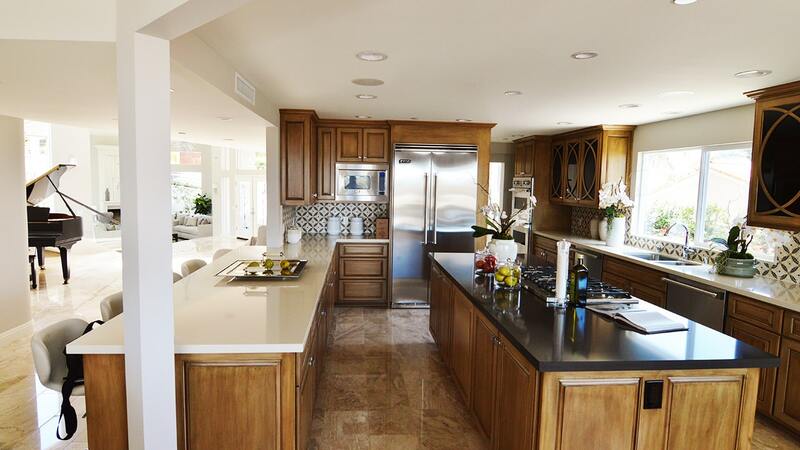 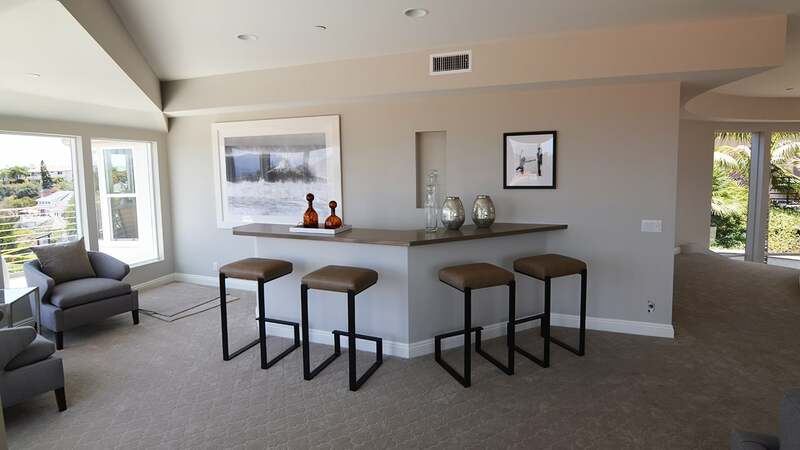 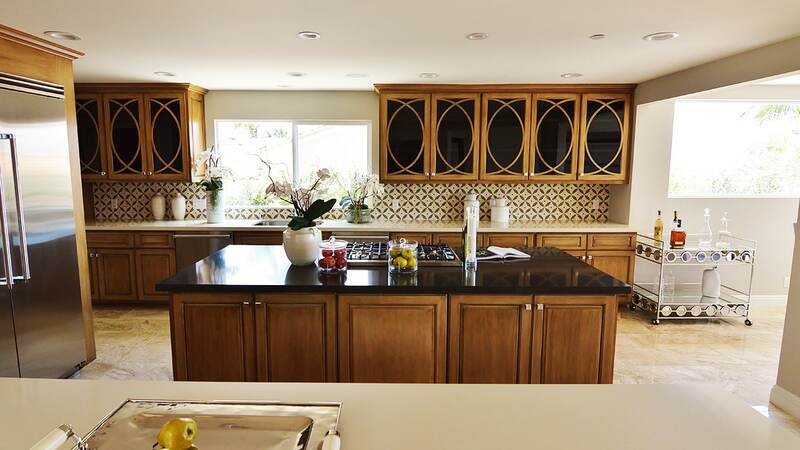 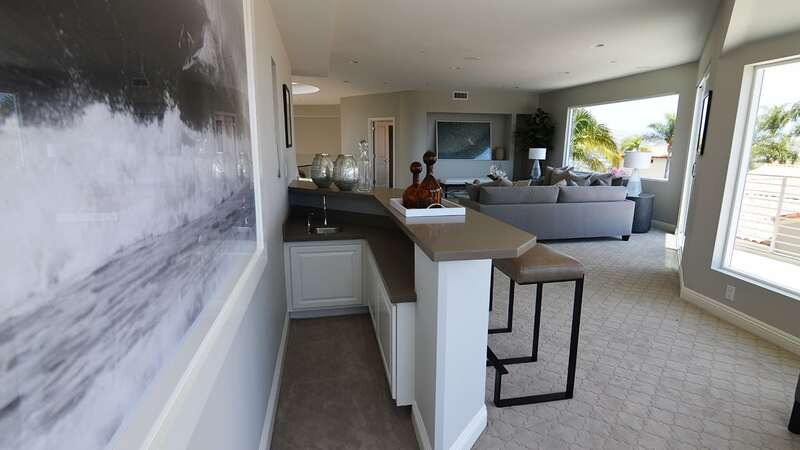 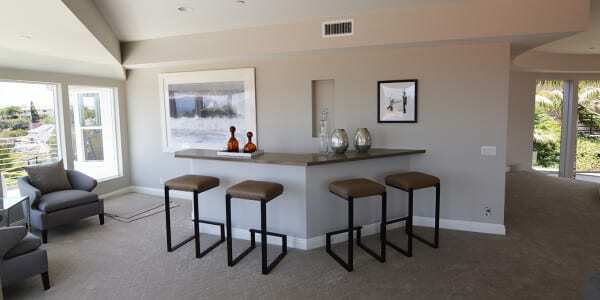 This complete remodel in Laguna Beach, Ca has it all. 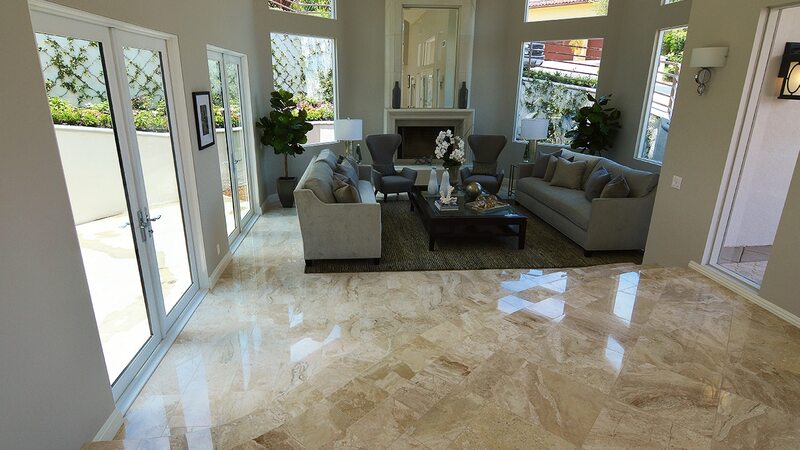 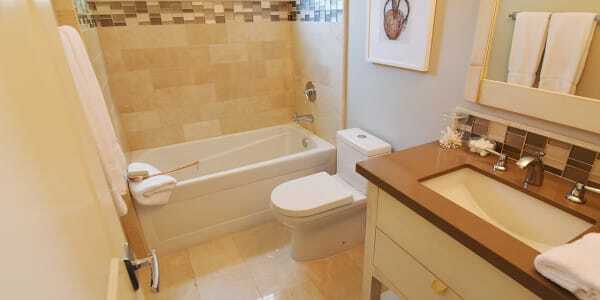 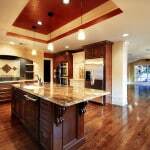 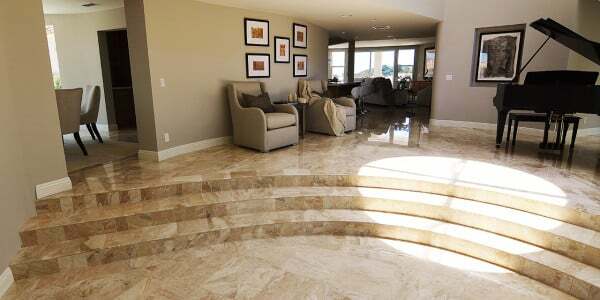 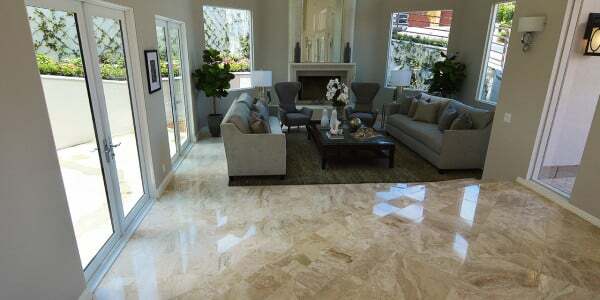 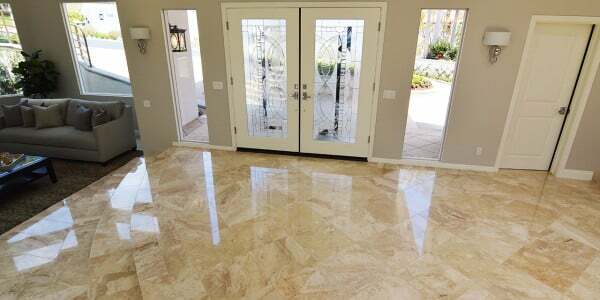 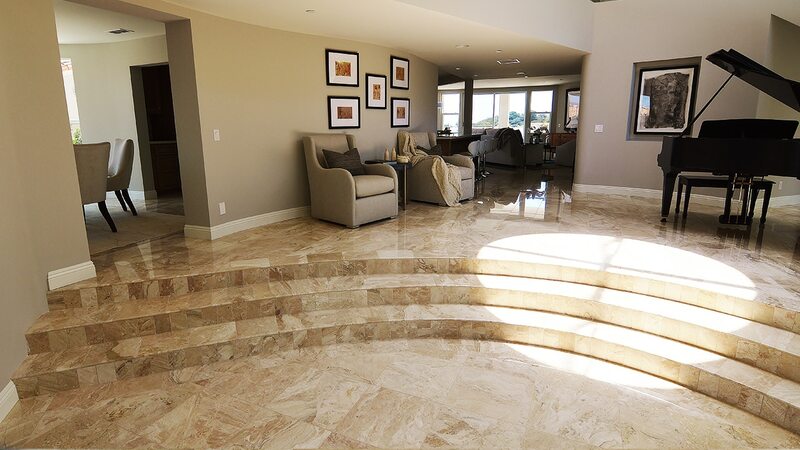 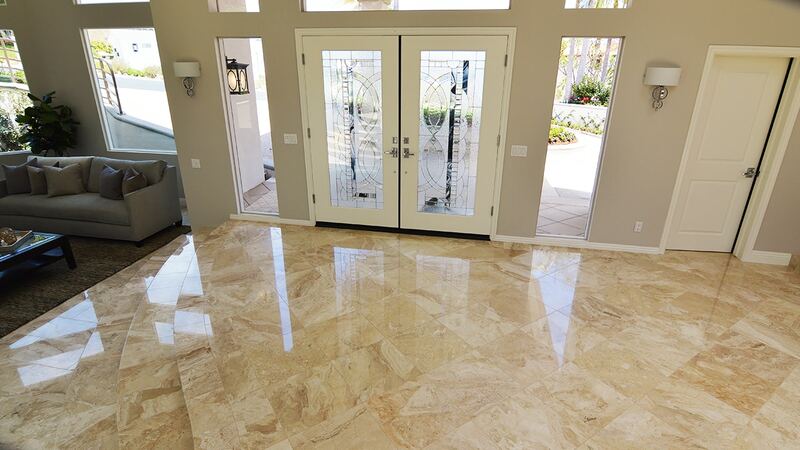 Luxurious marble floors throughout this home is just the beginning. 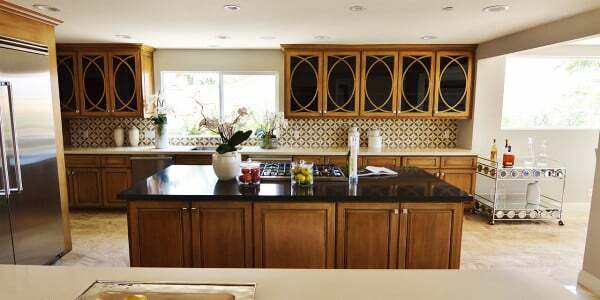 Custom cabinets with black glass inserts, custom mosaic stone backsplash and two colors of quartz counters dress-up the kitchen. 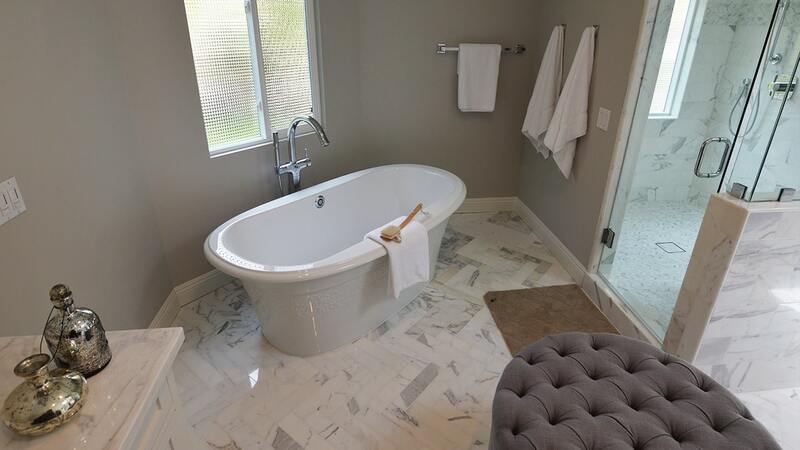 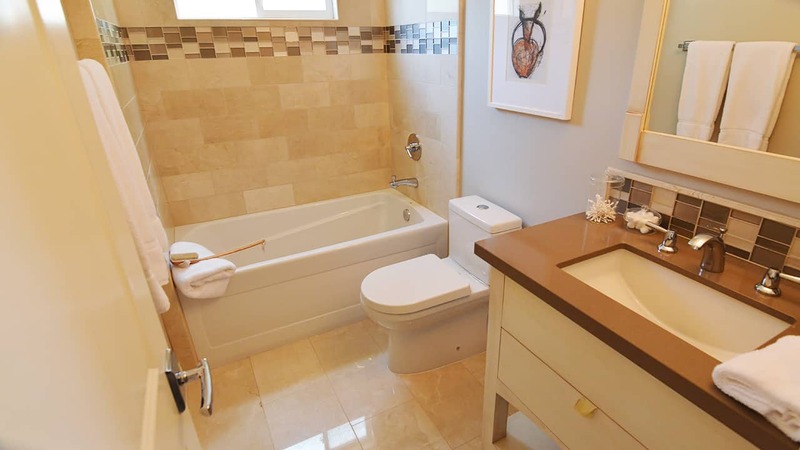 The master bathroom is treated with a freestanding tub, Carrera marble cut into a herringbone pattern. 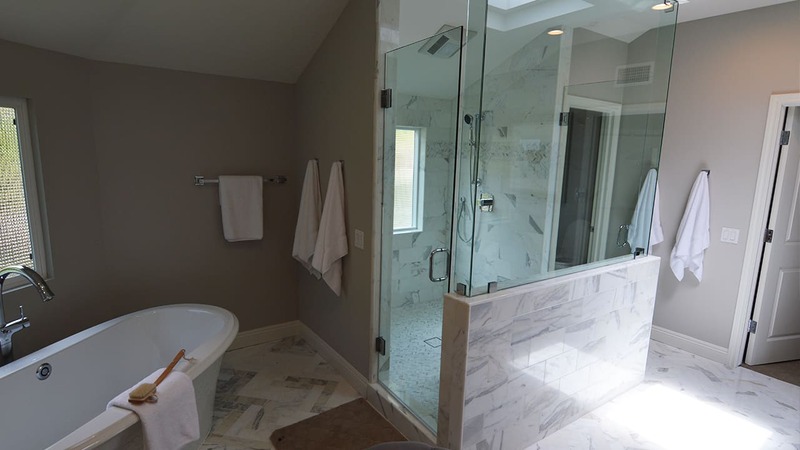 A very large two door shower with mini chevron pattern mosaic band and matching mosaic at the shower floor. 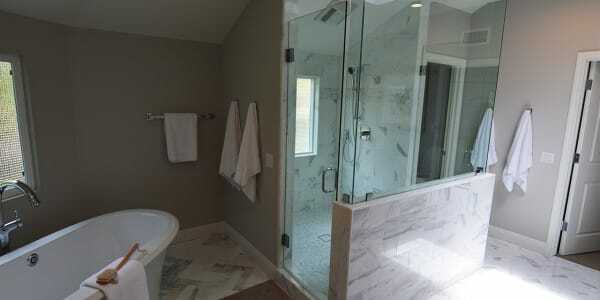 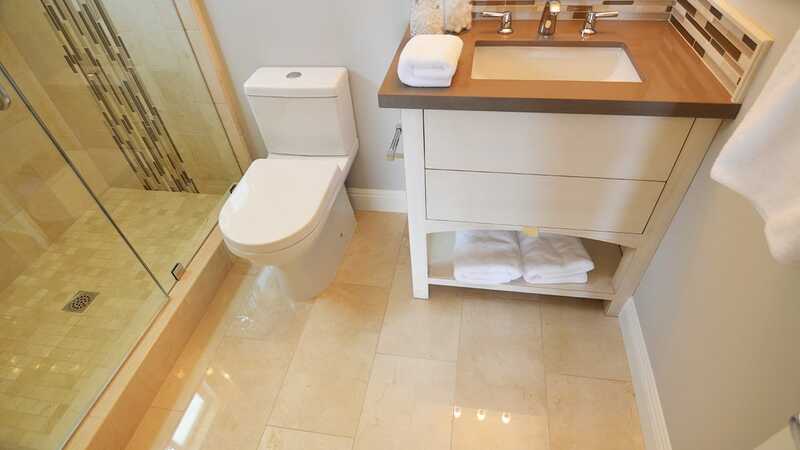 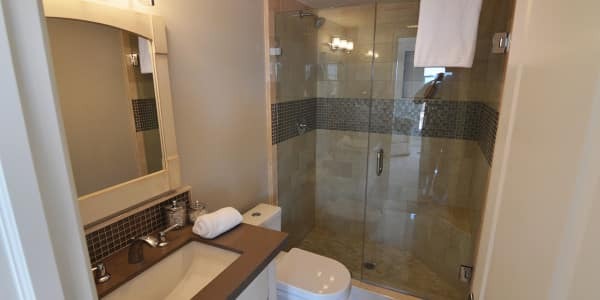 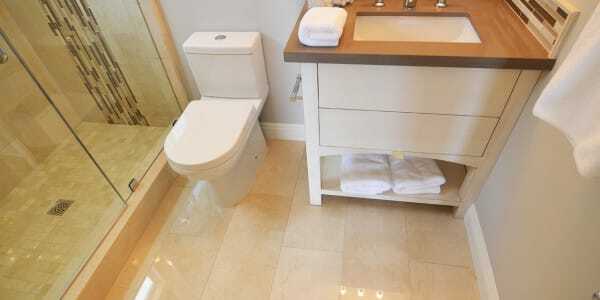 The guest bathrooms are treated with 6×12 marble with a glass mosaic band set horizontally in one and vertically in the other. 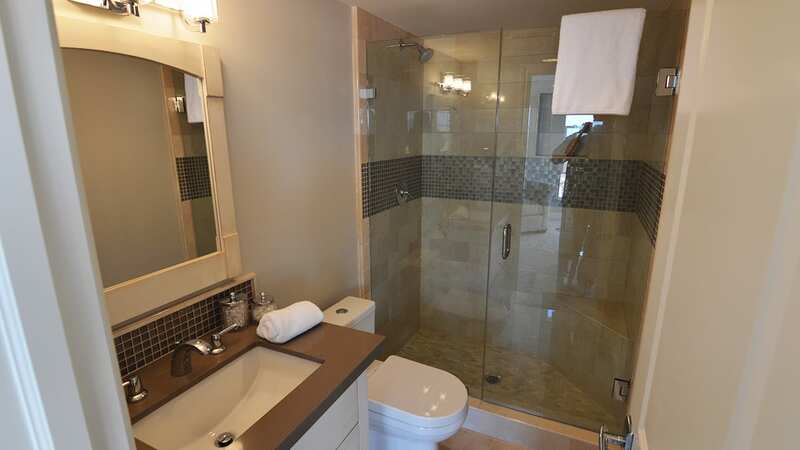 Another custom cabinet graces the powder bath with a full stone and glass mosaic accent wall.